Pro JavaFX Platform is a fantastic book to learn JavaFX. The book was written by Jim Weaver, Weiqi Gao, Stephen Chin, and Dean Iverson. The book comes with numerous samples that you can run and learn from. I’m going to show you how to important these applications into Exadel JavaFX Studio plug-in for Eclipse. Download any of the samples. 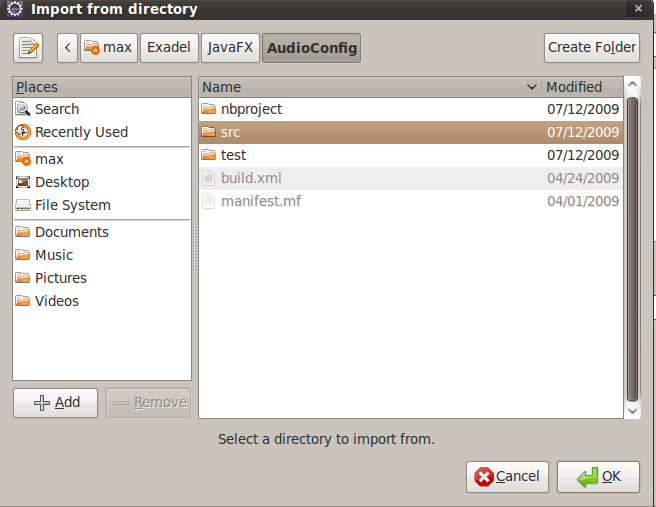 I will use AudioConfig sample to illustrate the steps. You should see src folder in the right window. Select the check box [screen shot]. Click Finish. 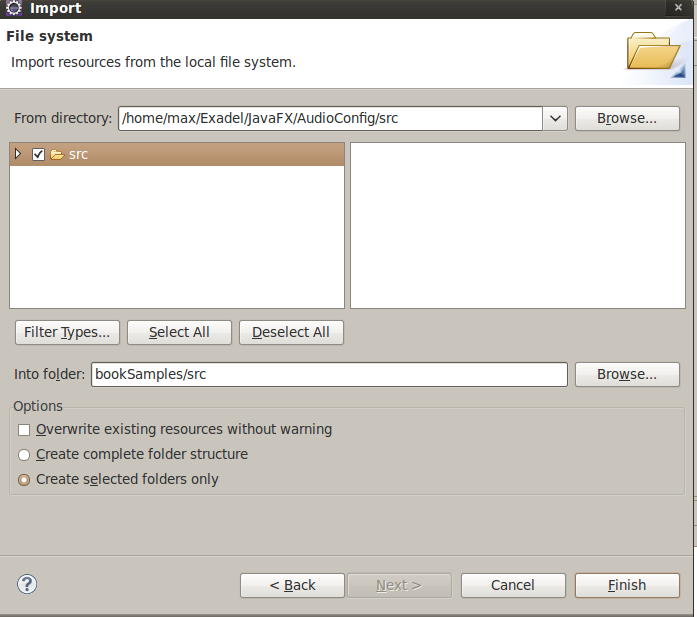 Right-click file (or in source) and select Run As/JavaFX Application.